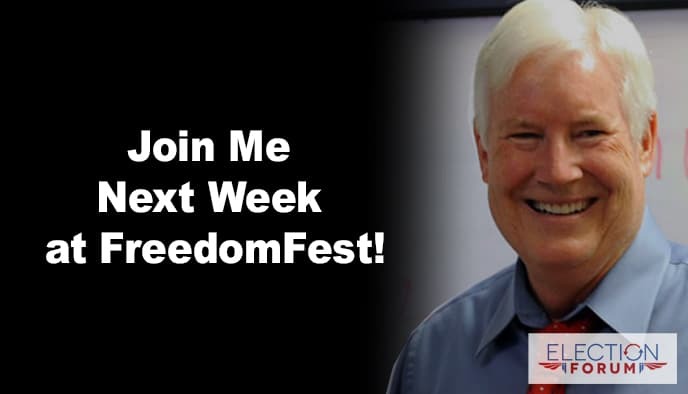 Join Me Next Week at FreedomFest! I’ll be speaking on The Deep State: 12 Surprising Dangers You Should Know. Also speaking with me will be Senator Mike Lee – on President Trump’s short list for nomination to the Supreme Court. He will talk about the monumental significance of the next Supreme Court nominee … and some insider appointment insights. FreedomFest is in Las Vegas from July 11th to July 14th. Over 2,000 will come to the largest libertarian/conservative conference on politics, economics and business.